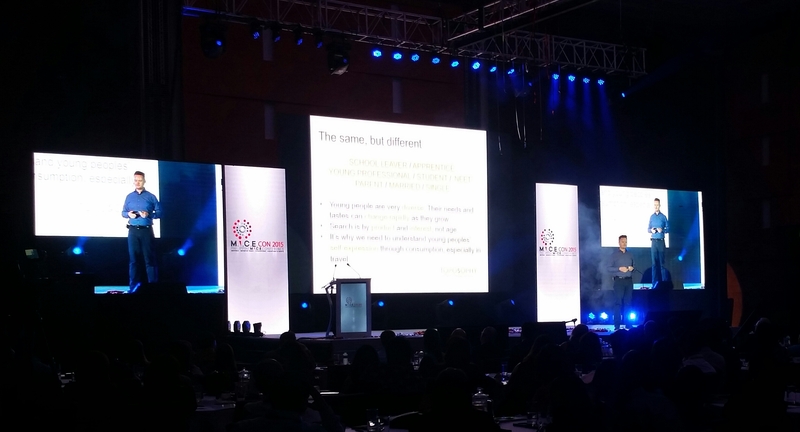 Last week I visited Manila to do a keynote presentation at MICECON, the Philippines’ national tourism conference. Here’s the post I wrote for Toposophy on how the future of Filipino tourism lies with Millennials, from both home and overseas. To see the original post and find out more about Toposophy, please click here. Think back to your geography classes at school and you may remember studying population pyramids, those diagrams used to show the relative size of different gender and age groups in any given country. Take a look at the population pyramid for most countries in Western Europe and you’ll see a ‘Y’ shape, with a relatively large number of older age groups (the baby boomers), and a comparatively reduced population among the younger age groups. Now go and check out the population pyramids for nations in Southeast Asia, such as Indonesia, Vietnam or the Philippines. You’ll find a cone in the shape of a Thai palace: very heavy at the bottom (with a booming youth population) and very thin towards the top. Last week I was in Manila to give a presentation at the opening session of MICECON, the national tourism conference of the Philippines. During the few days I was in the country, I was able to see first-hand how young the country is, with millions of children, teenagers and young adults streaming around Manila’s busy streets and malls. The Philippines is a collection of over 7,000 islands that lies in the Pacific, south of Taiwan and north of Indonesia. It’s had a rocky history, variously governed in the past three centuries by Spain, the US and occupying Japanese forces. During the late 20th the country was run by a General Marcos (remember his wife Imelda’s famed collection of shoes?) and has long suffered as one of the poorer Asian nations. Today however, the country is both generating and benefiting from the wider economic boom in Asia. English is widely spoken by Filipinos, who go for coveted jobs at the country’s growing number of outsourced-call centres. The Asian Development Bank forecasts GDP growth of 6.4% in 2015 and international arrivals in 2014 reached nearly 5 million with the government aiming for strong growth in the coming years. Domestic travel is extremely important since Filipinos largely seek to explore their own country before heading for trips abroad, and there is still much more room for growth among a population which totals over 100 million. Aware that the country’s tourism fortunes will increasingly rest on the Millennial generation from Asia and further afield, the Philippines Department of Tourism invited me to speak at the opening of MICECON, the Filipino national tourism conference to share some insights into the Millennials market, in particular those travelling from other Asian countries. As you may know, Toposphy is already working with the Pacific Asia Travel Association to study the way Asian Millennials travel, in an exciting project called ‘Stepping Out of the Crowd’, and we hope to add this to our insights in the months to come. At MICECON, it turned out that ‘Millennials’ was the word of the day as the audience in every session asked plenty of questions on this subject. The Filipino travel industry is especially interested in younger travellers, and the reason starts at home. Young Filipinos grow up knowing that their country is a diverse and exciting place to explore, and they usually set out to do just that before heading overseas. Whether it’s for upgrading the country’s supply of accommodation or understanding how to make the most of the boom in Korean students coming to study English (estimates show that nearly 70% of Filipinos are fluent in English), delegates from hotel groups, tour operators and airlines expressed a strong desire to learn more about the Millennial mind-set and apply lessons to their own businesses. The Philippines today has some strong competitors for many of its products and to some extent, its fragmented nature and distance from mature outbound markets such as the US, Canada and Europe are a disadvantage. The government has also recognised that transport infrastructure is lacking too, but is working hard to overcome these challenges. The country certainly has some outstanding assets, including beaches that match the best of the Caribbean, amazing diving opportunities, beautiful rice terraces, and some well-preserved UNESCO recognised heritage from the 300-year long Spanish era. Still, in my opinion it’s the people who will truly place the Philippines at a competitive advantage in the years to come. Before arriving in the country I was familiar with the country’s slogan ‘It’s More Fun in the Philippines’ though I must admit I thought it was a cheesy slogan just like any other. A visit to 3 cities in five days taught me that this slogan really is the best possible description for what you’ll find there! Fiestas in the street, a love of karaoke, friendly neighbourhood barbecues, articulate guides and warm-hearted generosity seemed in abundance. Even the conferences are more fun, with MICECON proving that tourism conferences don’t always have to be stuffy, formal affairs for the industry of fun and enjoyment. 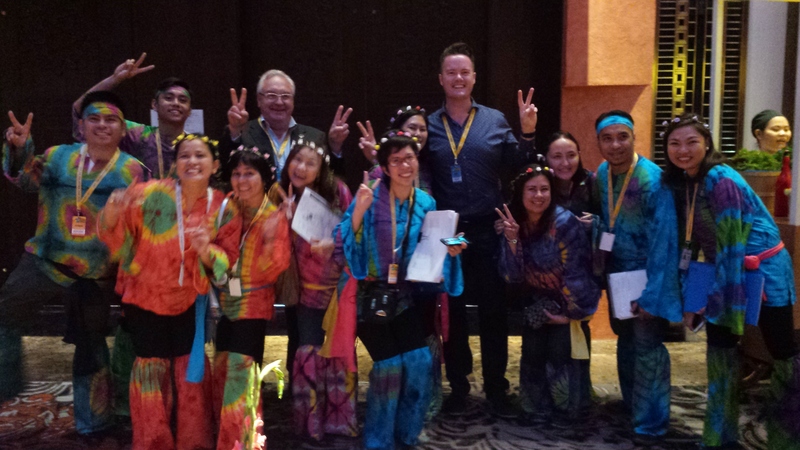 At this year’s event, delegates happily dressed by the theme ‘Flower Power’ and danced their way through the conference lunch! Given that competition is so tough from neighbouring countries, it’s promising that the Filipino government and the wider industry have recognised that they need to start building up their knowledge about Millennials in order to design the right products and marketing messaging for the near future. MICECON was a great first step to doing this. Toposophy will be there to support them on this journey as they seek more creative ways to engage with Millennials in the future. ← How do you encourage next-gen travellers to go ‘off the beaten track’?